The medical community’s understanding of fibromyalgia has increased over the last few years. However, the true cause of fibromyalgia is still unknown and diagnosis can be difficult. Unfortunately, this means that fibromyalgia treatment that works for you is still an imperfect science that requires coordinated care between you and your doctor. Your regimen to treat fibromyalgia will likely consist of a mix of lifestyle changes, alternative therapies, and medical approaches. Fibromyalgia is chronic pain condition. It’s often associated with widespread pain, cognitive issues, and fatigue. There are currently no cures for fibromyalgia. Putting off your treatment can also allow symptoms to actually worsen. So, when you do finally seek treatment, it may be more difficult to get your symptoms under control. Because of this, it’s important to incorporate lifestyle, alternative, and pharmaceutical treatments into your overall pain management plan. The following videos gives a brief overview of fibromyalgia. Not all your fibromyalgia management has to come from physicians and specialists. While medical approaches should definitely be part of your treatment plan, there are several lifestyle changes you can make to help you live well with fibromyalgia, too. Many of these seem like common sense, and they are. But incorporating a more mindful approach to your daily activities can help you prevent pain before it starts. Plan ahead a little. If you know you’ve got a dozen errands to run this week, spread them out over several days instead of doing them all at once. Better yet, ask a friend or spouse to handle a few of those errands. You might even consider services like home grocery delivery, dry cleaning pick-up, or mobile pet groomers that come to your front door. If it makes your life more manageable, go for it. Also, don’t be afraid to ask for assistance at stores. Request that the bagger at the grocery store keep your bags on the light side, or ask if someone can help you load your heavy new TV or bag of cat litter into your car. Once you get home, ask a neighbor to give you a hand carrying anything heavy or awkward. Appropriate rest can help you live well with fibromyalgia. This includes both during the day and at night. Avoid taking long naps late in the day, since they may interfere with your ability to sleep at night. However, it’s completely okay to lie down for ten minutes and just relax if you’re feeling a little overwhelmed. When bedtime rolls around, try to find ways to get the recommended seven to eight hours of sleep. Avoiding long naps in the evening will help. You can also try any or all of these sleep tips from the Sleep Foundation, or read our posts on sleep. If nothing’s working, talk to your physician. Sleep may seem like a very small thing compared to pain, but if you improve sleep habits, it can impact every aspect of your day. Another easy way to help yourself sleep better is to get some exercise throughout the day. Exercise is also one of the best ways to treat fibromyalgia. Even your normal daily activities, like gardening, sweeping, or vacuuming, can count toward your exercise for the day. And, as Health.com explains, know that your pain may get worse before it gets better. Work closely with your doctor to find the most appropriate activities for you. Yoga is also a very popular form of exercise for people with fibromyalgia. It’s a very low-impact, easy-to-modify form of exercise, so you don’t have to push yourself past your capabilities. Additionally, the breathing techniques, meditation, and emphasis on stress reduction in most yoga classes can go a long way toward helping you control stress-related pain. Stress tends to make everything worse. If you’re already hurting, a stressful day will amplify your pain. Therefore, controlling your stress levels can really make a difference in your pain management and help you live well with fibromyalgia. Meditation and breathing techniques, like the ones taught in yoga classes, are a great way to manage stress. Exercise can also reduce stress. The simplest way to lower your stress, though, is to take some time to do something you enjoy. Sit down with a good book. Take an afternoon tea break. Go for a mani/pedi (guys can go for clear polish to get the benefits without the fancy colors!). Splurge on a massage – which can help relieve painful muscle tension and swelling, in addition to helping you lose the stress. Finding a creative outlet can also make a big difference. Creative therapies, which include music, art, dance, or drama therapies, have been shown to help manage mood disorders like depression. Since depression commonly goes hand-in-hand with fibromyalgia (and can even worsen pain symptoms), taking the time to find a creative hobby may help you reduce your stress and feel happier and healthier. You don’t necessarily have to find a formal creative therapy class. Take up a creative hobby you’ve always been interested in. Just be careful to modify your new hobby for your pain condition. If you’re looking into dance, be careful it’s not so intense that it worsens your pain. If you’re considering taking up painting, set up a comfortable work station so you don’t get sore after hours of sitting on a hard stool. Or, if you’re going to start writing, make sure you have an ergonomic desk setup. This may seem pretty straightforward, but it’s a biggie. Make sure the chair you sit in all day is as comfortable as possible. If you’re reading, prop your arms up with pillows; consider getting an e-reader if you find yourself drawn to the really big, heavy books. As you go about your day, take note of times when you’re uncomfortable and try to find simple solutions like these to ease your pain. Keeping warm can also contribute to your pain relief. Cold drafts should be avoided, so close your windows or call a handyman if your house is chilly. A warm shower can also head off some pain if you’re chilled. Also, simple as it may seem, buy comfortable clothes. Go for pants with wide waistbands or drawstrings. Avoid very tight or constricting clothing. Try on clothes before buying, and make sure you stand, sit, bend, and walk while trying them on. Pay attention to fabrics that are more comfortable for you. Cotton, satin, or fleece tend to work well. Also, consider looking for clothes with printed tags, rather than sewn-in tags. When in doubt, you can always try the “elimination diet.” Limit your food to the basics from each food group, and slowly add in one food at a time, paying attention to see how it affects you. This way, you’ll be able to see if pizza or Frappuccinos are to blame for the extra pain you’ve been experiencing. In addition to lifestyle changes, as many as 90% of fibromyalgia patients actively seek out complementary alternative treatments for fibromyalgia. And with good reason – now more than ever, many of these treatments are the focus of scientifically validated studies that prove their effectiveness. We’ve gathered ten of the most promising alternative treatments for fibromyalgia. Read through the list and then hit the comments below to let us know what’s worked for you in the past. Although sometimes difficult to locate in smaller or more rural areas of the U.S., float tanks are an alternative treatment for chronic pain that relieve stress, promote relaxation, and help with both the quality and quantity of sleep. This last benefit is a boon to fibromyalgia patients who experience sleep disorders due to pain. Recent research has shown that fibromyalgia patients who practice mindfulness meditation in a clinical setting for as few as 20 minutes a day three times per week experience a dramatic reduction in both pain intensity and the emotional aspect of pain. This study comes at a time when mindfulness meditation is rising in popularity as an alternative treatment for fibromyalgia. Spinal manipulation that is either done manually or with the help of instruments can help properly align the spine and relieve pressure on sensitive areas that may be contributing to fibromyalgia pain. Physical therapy, on the other hand, helps you stretch and strengthen key muscle groups to avoid later pain. With highly-qualified practitioners, these approaches can lead to reductions in muscle pain and other improvements. Biofeedback is one of the alternative treatments for fibromyalgia that is minimally-invasive and side-effect free. This is a boon for fibromyalgia patients who are not interested in adding another prescription to their regimen. Biofeedback helps patients recognize the physical symptoms of pain and gives them tools to help handle them. Increased perspiration, rapid pulse, and shallow breathing are all physical manifestations of pain. Learning to regulate this physical response can help with not only physical pain but also a patient’s emotional response to it. Reiki is a complementary medicine approach to the way that energy moves through the body. Practitioners may use their hands directly on the body, or they may hover an inch or two away from areas they feel are blocked. Proponents of this approach say that this alternative treatment for fibromyalgia promotes deep relaxation and healing in their body. Exercise is a primary recommendation for fibromyalgia treatment, but many patients are worried that strenuous exercise can cause more pain. T’ai chi provides a good balance between gentle strength building and flexibility. If stress intensifies chronic pain conditions, it makes sense that any treatment that relieves stress would decrease pain. The Japanese practice of forest bathing (simply spending time in the natural world, away from cars and other artificial stimuli) has been shown to decrease salivary cortisol levels, a key indicator of stress. Additionally, parasympathetic nervous system activity increased, relaxing the body’s automatic function such as heart rate and breathing rate. Massage increases blood flow to affected areas and improves oxygen efficiency in the muscles of the body. For these two reason alone, massage is one of the most popular alternative treatments for fibromyalgia. There are a number of different types of massage that can be helpful for pain, including Swedish (lighter and relaxing) and deep tissue (more vigorous). A qualified massage therapist can help identify which type is best for you. Essential oils and aromatherapy have become rather controversial in recent years. Those who argue against them cite the lack of scientifically valid research and potential dangers, especially when taken internally. Proponents of this alternative fibromyalgia treatment cite anecdotal evidence from personal experience and the experience of others. The least invasive form of this treatment is aromatherapy. Essential oils for fibromyalgia, specifically, are breathed in with the use of a diffuser. Sprinkling lavender on the pillow at night may help promote restful sleep and relaxation. The right approach to medication can allow some patients to regain control over their pain and improve their overall quality of life. However, medications should always be used in combination with other lifestyle changes and alternative treatments to improve your overall symptoms. Many of these medications manage one aspect of fibromyalgia–such as muscle spasms or pain–but don’t address other symptoms like cognitive issues or fatigue. And, all medications do carry some risk of side effects. If your doctor prescribes a drug approved to treat fibromyalgia, be sure to follow all recommendations for its use. Talk to them immediately if you experience any side effects. Antidepressants are particularly helpful with pain, fatigue, emotional issues, and sleep problems. NSAIDs may be used for relief of acute pain episodes. Again, all fibromyalgia medications should be used only after consulting with a doctor. They can cause side effects that should be thoroughly understood before beginning their use. You may notice some exclusions from this list. The following cutting-edge treatments don’t yet have the research-backed evidence for their use. Updates are happening in these spaces though, so subscribe to the PainDoctor.com blog to learn about any research breakthroughs. Before then, you can talk to your doctor about these options if other treatments haven’t worked for you. A life with less pain starts now. 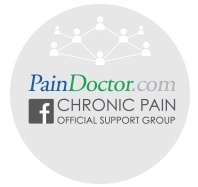 To find a pain management doctor in your area, click the button below.